ATN Thermal Clip-On (TICO) boasts of features such as a quick release mount, icon based menu, video output and multiple color modes. It also offers strong resistance to harsh operating conditions. Its quick release mount helps in attaching or removing the ATN Thermal Imaging Clip-On without any hassle. 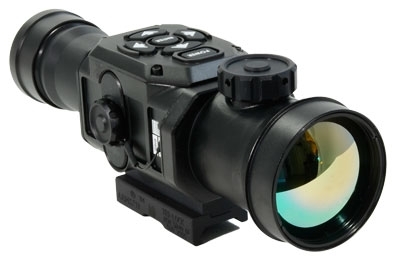 All you need to do is clip it in front of your standard day scope, without re-zeroing.